There are several interpretations of what constitutes tactical knives, with some people even suggesting there’s no difference between tactical and regular knives. While tactical knives have a variety of duties from everyday home use to camping duties, they must be strong enough to carry out those duties yet fully capable of self-defense. 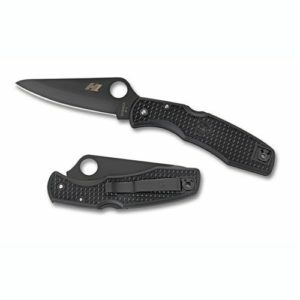 Listed below are the descriptions for our picks of the top 20 for the best tactical knife. The Cold Steel Recon 1 Tanto can withstand the worst of elements and many years of hard use, just like a good tactical knife should. Made from AUS 8 stainless steel, the blade undergoes a vacuum heat treatment before for cooling down in below zero temperatures, giving the Recon 1 unmatched strength and durability. Each blade has a black coating of Teflon for glare and rust resistance. Consistent lubrication while cutting, a G-10 handle, and the Tri-Ad locking system make this knife a good addition to any tactical arsenal. Compared to other folding knives, the Cold Steel Recon 1 is a heavy hitter tactical knife that easily fits in the front pocket. This multi-use folding tactical knife is small enough for carrying in your pocket every day yet strong enough for any size task. 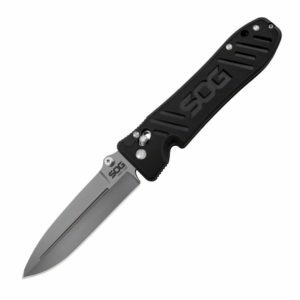 The SOG Special has a GRN handle made of reinforced nylon and stainless steel liners, with a strong, reliable lockup with Arc-Lock. The VG-10 blade is 4-inches long, and the knife is a lightweight at only 4.4-ounces. The small profile of the SOG Special Arc knife lets you easily carry it in your bag, pocket, or clipped to a belt giving you easy access. Tested at more than 1000 pounds of pressure, the SOG Special came out ahead of its competitors in strength. The SOG Special Arc Folding Knife makes the perfect everyday carry for every situation. Before building the 06 F.A.S.T. Knife, Gerber looked to United States military troops for feedback for their full automatic tactical folding knife. The Gerber 06 was made for every carry or field use and has a sliding safety mechanism that engages in both open and closed positions. The 06 F.A.S.T. pommel is stainless-steel with a striking point and over-sized release for easy use wearing tactical or regular gloves. Made with S30V stainless-steel, the Gerber 06 blade takes heavy use without damaging the blade sharpness or stability of the edge of the blade. The Gerber 06 F.A.S.T. Knife gives you more capabilities than a standard pocket knife. Sister to our top pick for the best tactical knife, the Cold Steel Recon 1, its cousin, Cold Steel American Lawman comes in as a close contender. The Cold Steel American Lawman offers many of the features the Cold Steel Recon does and is a nice addition to your tactical arsenal. The Lawman’s superior edge retention comes from the CTS XHP Alloy steel used in the blade. Glare and rust resisting black DLC coating, a superior gripping G10 handle, and the Tri-Ad locking system let the Lawman handle the shock and impact from everyday carry and use. Zero Tolerance 095BW has a blade that’s smaller than many fixed blades, but that doesn’t keep it from being one of the toughest blades found in an everyday carrying knife. Made with a solid titanium handle, the Zero Tolerance is lighter than those with solid steel handles but carries all the strength of its heavier counterparts. The harpoon-style, S35VN, steel blade keeps a sharp edge longer than the S30V model. Other features include KVT ball-bearing deployment for smooth response, titanium lock with hardened lock bar insert for securing the blade while using, and a pocket clip that’s reversible for either left or right-hand carry. Made in the USA, this everyday carry knife is the largest in Gerber’s folding knife collection. The full-sized Decree is rugged, with a steel tip glass breaker and a handle that’s glass-filled nylon with rubberized diamond texture giving it an all-weather secure grip. 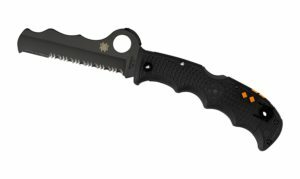 The tanto blade is corrosion resistant, black non-reflective ceramic coating, and deploys with a flipper style mechanism. Sporting a slim and compact design, the Gerber Propel Downrange Auto doesn’t fall short on durability and functionality. 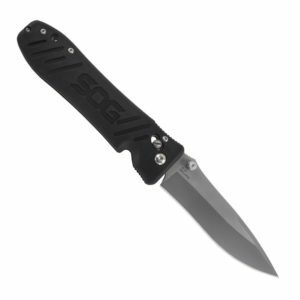 The S30V deploys with one hand and has a premium-grade S30V steel blade coated with black oxide with a plunge lock and safety, keeping the blade locked when opened or closed. The three-way clip is adjustable and lets you customize the knife orientation from belt to pocket. Built for law enforcement and military personnel, the SOG Pent Arc knife is both durable and reliable enough for extreme situations. With arc-lock operation and a VG-10 blade, the Arc Folding Knife handles everything from defense and security to everyday tasks all built into a GRN handle for durability and better grip. The SOG Pent knife is light weight, only 4.4-ounces, making it the perfect everyday carry anywhere knife. 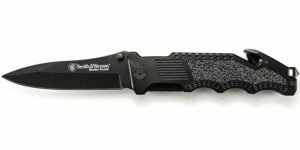 The Smith and Wesson SWBG1 Border Guard 2 Rescue Knife is a truly tactical knife with its multifunction capacity. The Border Guard has a 4.4-inch Tanto blade, glass breaker, a seat-belt cutter with integrated thumb knob, and liner lock. With the Spyderco Assist knife, you’re ready for any high-pressure situation that comes your way. This amazing tactical knife has a blunt tip that’s unbreakable and a saw-toothed blade made from VG10 metal that cuts through a seat belt or any fibrous material. The handle with rapid deployment and Cobra Hood grip with retractable carbide tip that breaks the glass and includes a built-in whistle makes this a true survival knife. When there’s no time, the handle’s inside has a die-cut pattern that quickly cuts lines and rope by easily squeezing the blade and handle together. Weighing a light, 3.3-ounces, the Gerber Contrast Assisted Opening Contrast Knife delivers enough comfort to front pocket carry every day. 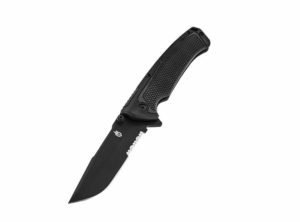 The rust and corrosion resistant G-10, lightweight handle and Gerber’s Assisted Opening mechanism with the small 3-inch blade ensure top performance. 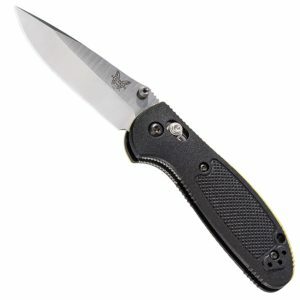 The Mini Griptilian knife is one of the best small size knives available. The drop-point blade made from stainless steel has a scratch and corrosion resistant BK1 blade coating and boasts a spring-loaded locking mechanism. A reversible clip lets you carry the Mini Griptilian in a pocket or on your belt. A knife built tough to take whatever you throw its way; the Kershaw Blur Glassbreaker is also extremely functional. 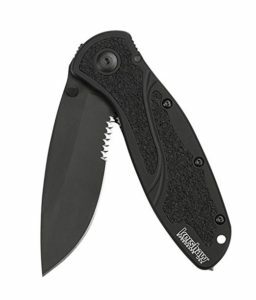 The Kershaw has a partially serrated blade with a carbide tip for breaking glass, all connected to a handle made from aircraft-grade aluminum and Trac-Tec inserts for improved gripping. 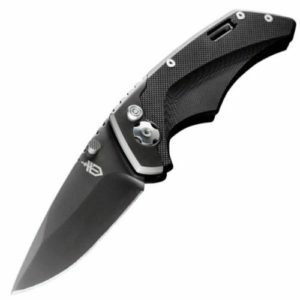 Kershaw Blur comes with the handy SpeedSafe mechanism giving easy assisted, one-hand opening. A large tactical folding knife, the Benchmade 275 Adamas is a heavy-duty piece that’s strong enough to take care of your toughest daily tasks. The Benchmade 275 Adamas has AXIS locking and a large G-10, stainless steel lined handle for extra durability and strength, making gripping with gloves easy. The Schrade SCHA4BG M.A.G.I.C. 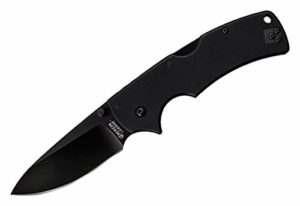 folding knife features a steel, black treated, drop-point blade and a thick aluminum handle with rubber grips. A spring-assisted mechanism makes opening easy, and the knife comes with a backup safety lock. The Benchmade Bedlam 860 knife is made for durability with a blade made of 154CM stainless steel, a G-10 handle, tip-up deep pocket clip that’s reversible, and AXIS locking with thumb-stud openers for ambidextrous opening. 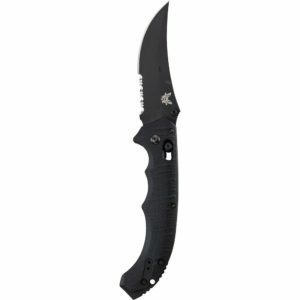 The USA made Zero Tolerance 0350BW has a tungsten DLC Blackwash coated, 3.75-inch blade and a frame lock with a lock bar stabilizer made from titanium. The G-10 handle with titanium backing is 3D machined and Blackwash finished with a KVT ball bearing opening mechanism and reversible pocket clip with dual thumb studs and flipper. While the SLPro is categorized as a tactical knife, it can also qualify as a multi-purpose tool great for any situation if you ever find yourself lost and unable to find you way out of the woods. 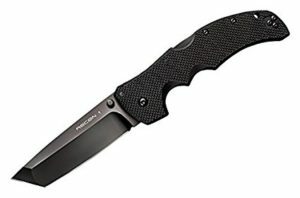 This do-it-all knife is made of solid steel with a 3-inch partial serrated blade, built-in flashlight with detachable housing that stores the magnesium alloy fire rod, capable of showering sparks over 2500° F.
A tactical knife for land or water, the Spyderco Pacific Salt Black Blade Knife has a black carbonitride coated, plain edged blade made from H1 steel. The knife’s internal steel parts also have a carbonitride coating which protects the knife from pitting and rust when using in saltwater. The handle is textured fiberglass with enlarged blade hole giving you easy opening with one hand, a lanyard hole, and reversible pocket clip. Designed by professional U.S. Army Colonel Rex Applegate, the Gerber Applegate Covert was designed with self-defense in close-quarter combat in mind. The Covert has a blade made from high carbon stainless steel with a titanium nitride coating for strength and durability. Rounding out this defensive tactical knife is the glass-filled nylon handle with Rotolock locking system and a heavy-duty pocket clip. When purchasing a tactical knife, the most important step for you as a buyer is understanding the differences between regular knives and tactical knives. Unfortunately, many believe there is no difference, however for those familiar with knives can tell you, there’s just as much difference between knives as there is between regular guns and combat guns. And when you know what to look for in tactical, it can define life or death. Before clicking on the buy button, here are seven things to look for in the best tactical knife. The purpose you have in mind dictates what you need to look for in a knife. Are you looking for an all-purpose knife that works mainly as a utility tool or do you want one made specifically as a weapon? Other considerations are using the knife as a rescue tool, entry tool, or survivalist tool. Sometimes, it may mean more than one knife depending what the planned uses are. One of the most important aspects of buying a tactical knife is the ergonomic design. You need a knife built for comfort when using it for daily tasks as well as under stressful situations. Look for a knife with a natural grip handle, free of pinch points and sharp edges. When looking at the handgrips, you want a simple design without a sculpted handle or an intricately folded and twisted look. In this instance, simple lines that look comfortable to grip are the best. You want the fingers to fit naturally without being forced into pre-fixed positioning. Carefully consider the size. A knife that is too small or too large for the hand makes use uncomfortable. You want a knife that fits your hand like a glove. The size of knife you choose should reflect the purpose or task you want it to do. If you want a knife capable of handling heavy duty tasks including chopping, foraging, and so on, you need a large, heavy knife capable of doing the job. But if you’re looking for a general-purpose knife that’s easy to carry and doesn’t take two hands to lift it, then go smaller. You want a knife that’s small enough to be comfortable when carrying it or putting it away in your tactical backpack, but large enough to handle general tasks. We recommend getting a folding knife that has a shorter blade, about three to four inches, with an overall eight-inch to nine-inch length. No matter what materials make up the knife, it’s the design that counts. A knife made of the best materials available but has a poor design is useless. If it’s not designed well it doesn’t matter what it’s made of, the knife is worthless. There are two areas to consider the materials used when looking for a tactical knife; the blade, and the handle. For all tactical knives, we recommend a high-quality stainless steel blade. These steels are pretty much the same quality; it’s just marketing hype to sell more knives. An alternative to stainless steel is W1 tool steel. This metal is a couple of hundred years old and stands up to just about anything. The only con to this type of knife is since it’s made from the same metal as your file tools are, it rusts making it higher maintenance. But a knife made from W1 cuts anything, including other steel, and will last you forever when you take care of it properly. There are several materials used to make knife handles from plastic to titanium and stainless steel. You need a handle made from stabilized material that is moisture proof and won’t shrink or crack, which eliminates using natural materials like ivory, wood, or bone. Handles made from stabilized materials won’t absorb water, sweat, oil, or gasoline. You also want to avoid handles made from Kraton which is a soft rubber type material since these handles eventually pop off or deteriorate. High-quality knives have handles made from long lasting materials made from polymers or composites. Others have all metal handles, and while they last forever, they feel heavy or slick compared to non-metal handles. It’s up to you what you think feels best. Knife designs vary, but the standard requirements for any tactical knife is a good cutting edge and strong, thick point. Two inches of cutting edge is enough for most tasks with a point that won’t break if you must poke or dig at something. You need a blade thickness of .125-inches to .187-inches giving lateral strength. Anything thicker makes the folder too thick and heavy for carrying and using. When looking at blade metal hardness, we recommend 57-59C Rockwell. Any blade harder than 59C becomes too hard or brittle. You need a knife you can sharpen with any sharpener and not a sharpener specially made for the harder metals. If you’re in the field, you need the flexibility of traveling light and not worrying about lugging around diamond sharpener. The final consideration in blade design is the serrated edge. These blades are more durable and will cut through just about anything, even when dull. The folder or fixed knife question comes down to the user with some preferring a folder while others want a fixed blade. Even though this may be a personal choice, we can tell you that a fixed blade, without any moving parts, is much stronger than a folder. Before choosing, consider how you’ll use the knife. If you’re prying, cutting, or chopping, then a fixed blade offers the strength needed for these tasks. While many think of large, cleaver-like knives when you say fixed blade, the opposite is true. Some fixed blades are no bigger than an open folder knife and are compact enough to carry with you. But, if you want something that is compact enough to carry in your pocket then a folder is the answer. Many people carrying a fixed knife in their boot or on their belt, also has a folder in their pocket. When it comes to reputation, you want to buy a brand known for their tactical knives who stand behind what they make. Does the maker of your knife guarantee their product if it breaks or needs service? If they are a reputable knife maker, they do. The people making tactical knives need to understand knives. Anything that says, “Official Swat Tactical,” or “Army Ranger” are more than likely made in China and are painted black because they think that is how a tactical knife should look. When you want to buy a tactical knife, you want one you are confident in carrying. You want one made by a reputable manufacturer and not one found in a flea market or swap meet. While you normally use a knife for small tasks and jobs, that knife may help save yours or a loved one’s life. You want a knife you can depend on to see you through. While most knives work for home use, tactical knives need heavy construction for handling different field tasks like cutting thick rope or tree branches to defending yourself from an attacker. The typical tactical knife, like those preferred by the military, must stand up to hard daily field use without failing. All the knives on our top 20 best tactical knife list fits the bill when it comes to use, durability, and outstanding performance.